First, a note for the sake of full disclosure. As the author worked on finalizing this book, I shared with him a similar report I had written as my thesis when testing for 1st degree black belt. We Battleshipped back and forth about various factual and stylistic questions after he had read my report. He was even so kind to include me in the acknowledgements and bibliography. That said, let’s get to the brass tacks of this review. Taekwon-do practitioners who perform the Ch’ang Hon patterns or, as is the case with my school, a derivation of them due to various splits over the years will be familiar with the pattern set that goes from Chon-Ji through Tong-Il. As students, we are expected to learn the meanings as put forth by General Choi Hong-Hi in the ITF Encyclopedia. Often after a student gives a correct meaning during class or testing, I will ask them, “Correct, but what does that mean?” This is my way of telling the students they need to do more than just rote memorization of the meanings. It’s no different than learning how to perform a pattern correctly but not understand the applications of the various techniques. As noted at the outset, when I tested for 1st degree black belt in 2002, my thesis was a 97 page (what, you complain about a two page report for your belt testings? :)) history of the patterns from Chon-Ji through Kwang-Gae (at that time the highest pattern I knew). I had started at blue belt with Joong-Gun, as I found his life and patriotism fascinating. It continued until black belt, when I went back and did histories for the patterns prior to blue belt. That said, I might have more insight than the average person when it comes to analyzing this book my Mr. Anslow. And, without a doubt, I was not disappointed. 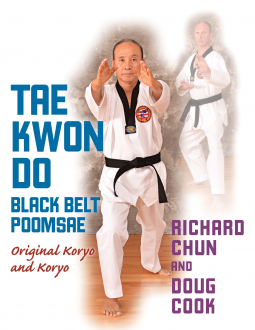 He provides detailed information about each of the 25 patterns from the ITF curriculum (including both Juche and Ko-Dang, for those expecting 24) as well as the six GTF patterns created by Grandmaster Park Jung-Tae prior to his death in 2002. Included as part of of each pattern is a listing of the definition as put forth by Gen. Choi, even if it is incorrect (such as the birth year of Do-San Ahn Chang-Ho), then Mr. Anslow proceeds to dissect and analyze the meaning, determining, if possible, the reason behind the number of moves in the pattern. Mr. Anslow also provides much detail about the history behind the person or concept for which the pattern was named, supplying many pictures about the people involved and giving very detail footnotes. These footnotes naturally tie to an extensive bibliography at the end of the book. 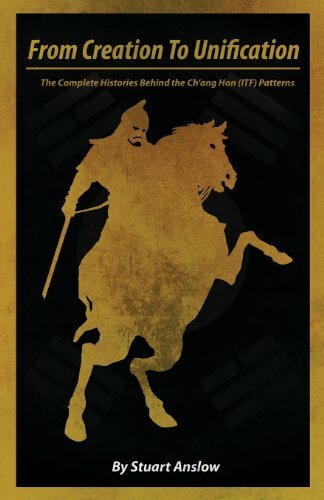 The author is also not shy about pointing out errors in the original meanings, not in an effort to discredit or demean Gen. Choi, but rather point out that Gen. Choi was first and foremost a solider and martial artist, not a historian. Consequently, it’s not unheard of that some facts may not be as accurate as at first glance. Overall, I am very impressed with this book. Mr. Anslow has been doing research on this for decades, and it shows. I can also know from personal interactions with him that if he was not able to validate as factual something he ran across, he excluded it from the book rather than risking the integrity of the book. There are some stylistic things that annoyed me, but those have no bearing on the overall quality of the book. Naturally, I did find a couple of items that I believe are factually incorrect, which is inevitable in a first edition. If those due bear out to be inaccuracies, I have no doubt the author will make every effort to correct them prior to the next edition. YMAA Publication Center provided me with this book, via NetGalley, for the purposes of reading and reviewing it. Even though it was provided to me at no cost, I am under no obligation to provide a positive review. In many ways, I may be one of the perfect people to review this book. As a third degree black belt in taekwon-do, I have the foundation in the art to perform the techniques required for these two poomsae. But as my black belt is in another style of taekwon-do, where we perform the Ch’ang-Hon patterns instead of the Taegeuk / Palgwe / Yudanja sets, I don’t already know these poomsae, so they would be completely new for me. Overall, I liked the way the authors demonstrated the patterns. For each move, a diagram was shown giving foot position before and after the move. Also included was a picture of the technique being performed by Grandmaster Chun. If appropriate, an inset photo from a different angle is shown for clarification of hand positioning, etc. Each move is also described in detailed steps, showing what stance transitions and techniques need to be performed. Having only seen Koryo pattern in passing on video, and having not seen Original Koryo at all, I was able to take this text and learn both patterns to memorization in under an hour. Certainly, that’s not a level of proficiency required to advance to the next rank, but I believe it’s a tribute to the quality of the book that I was able to teach myself the patterns. While a book should never be used as a substitute for a qualified instructor, it can certainly be a valid complementary tool. My only beef with the book is the description and demonstration of the patterns do not start until Page 73. All the pages up to that point are filled with a history of taekwond-do from its origins prior to its naming, as well as photos and descriptions of various taekwon-do techniques. As the target audience for this book is, by definition and title, black belts, why spend so much time on this subject matter? On the history of the art, perhaps, although I would hope any black belt worth his or her salt would have that familiarity already. But photos and descriptions of techniques learn at white belt or soon after? I’m sorry, but it comes across as fluff and an attempt to pad the book to a particular length. That said, it’s definitely worth it as a supplemental resource for black belts wanting to learn Original Koryo or brush up on Koryo.